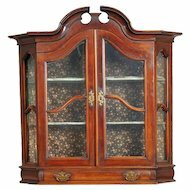 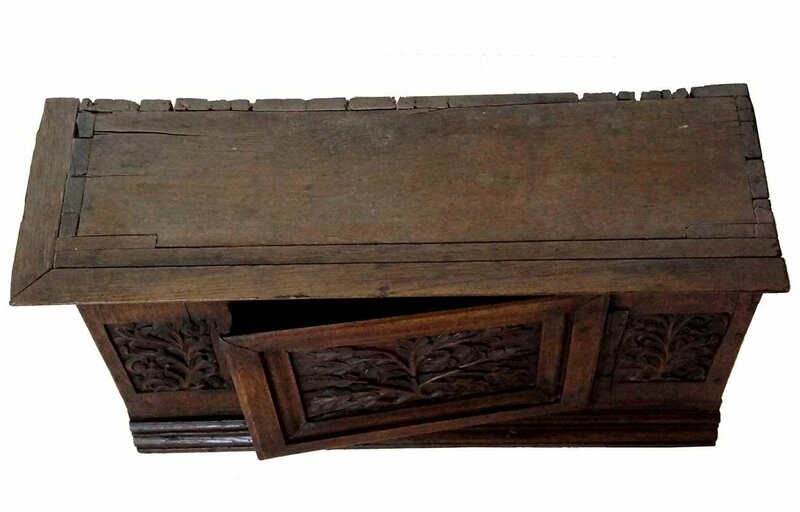 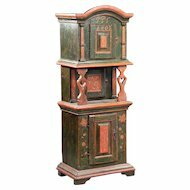 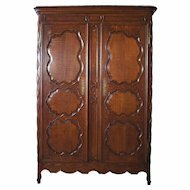 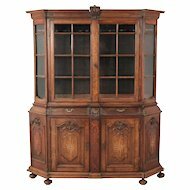 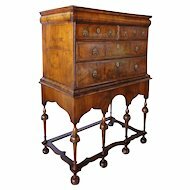 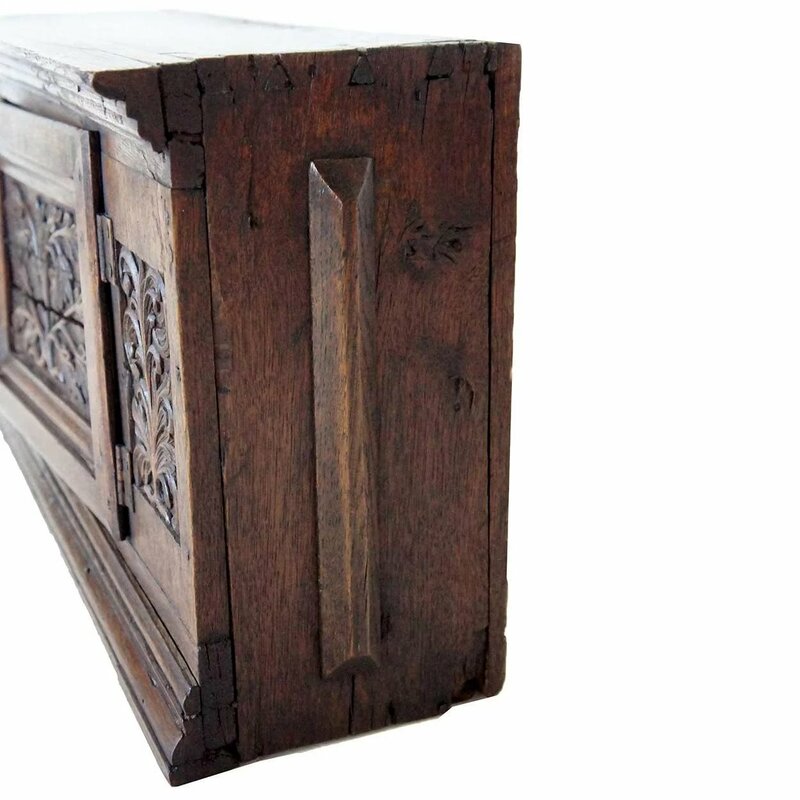 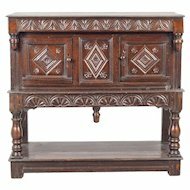 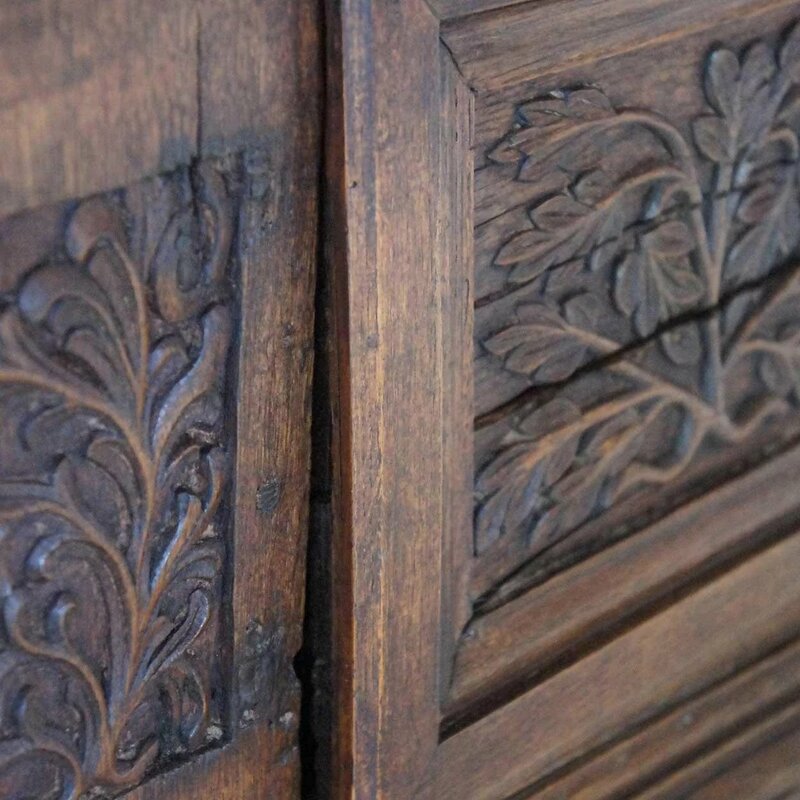 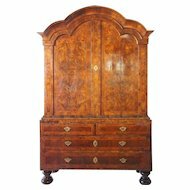 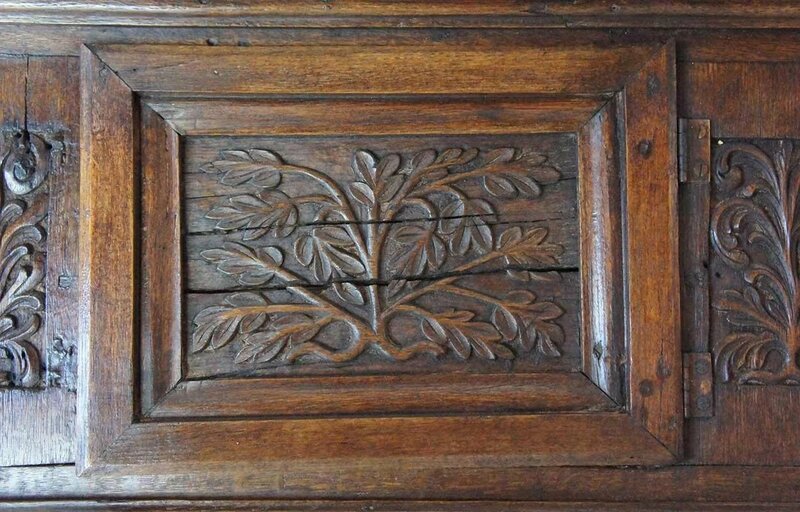 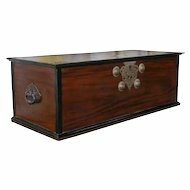 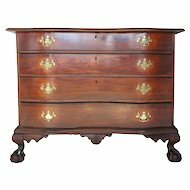 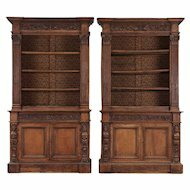 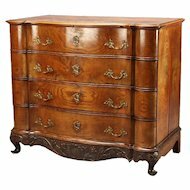 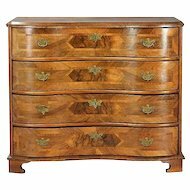 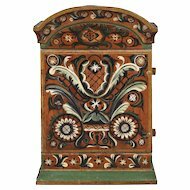 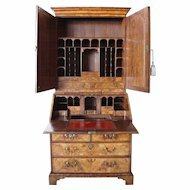 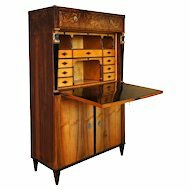 This very unusual, diminutive, antique Scandinavian cupboard was hand crafted for use in a very specific location, as witnessed by the variations in the trim. 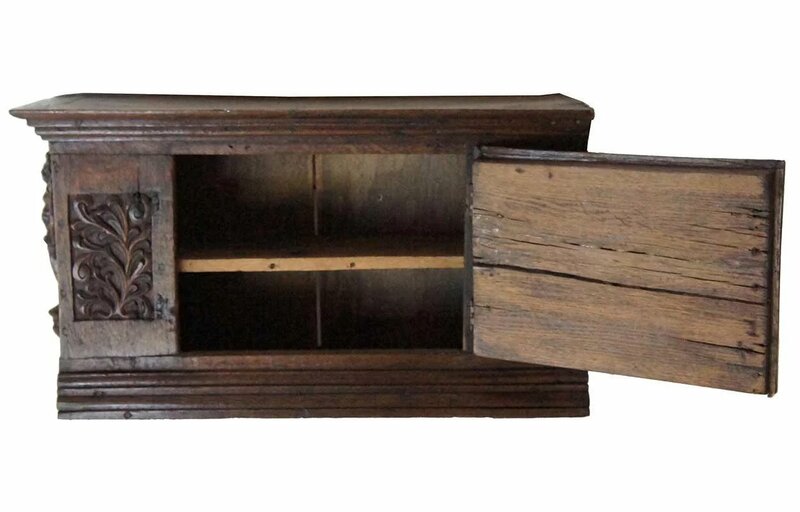 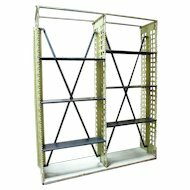 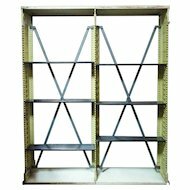 The small, central door opens to a single shelf. 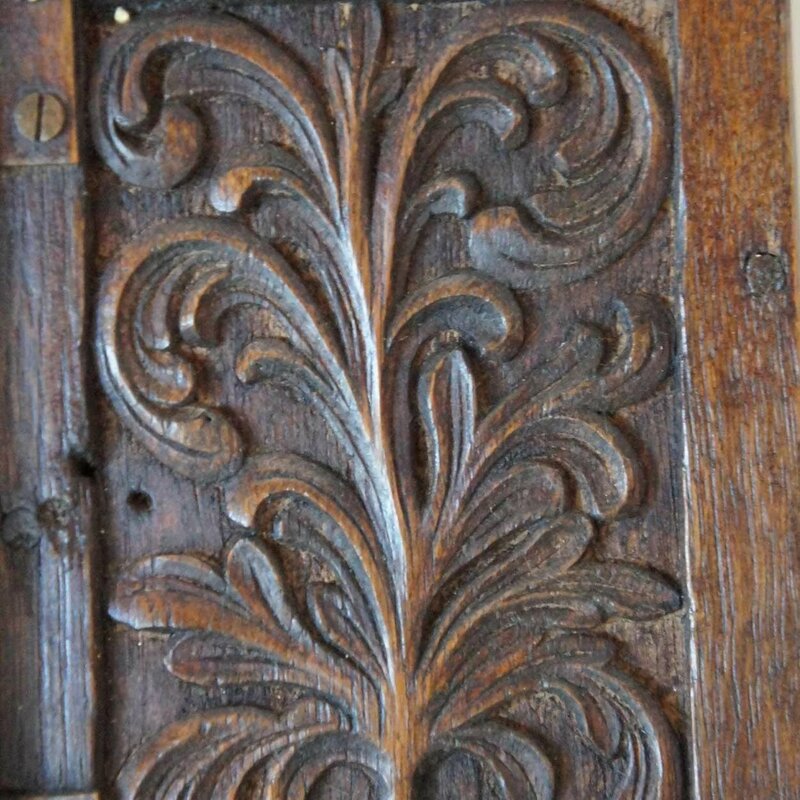 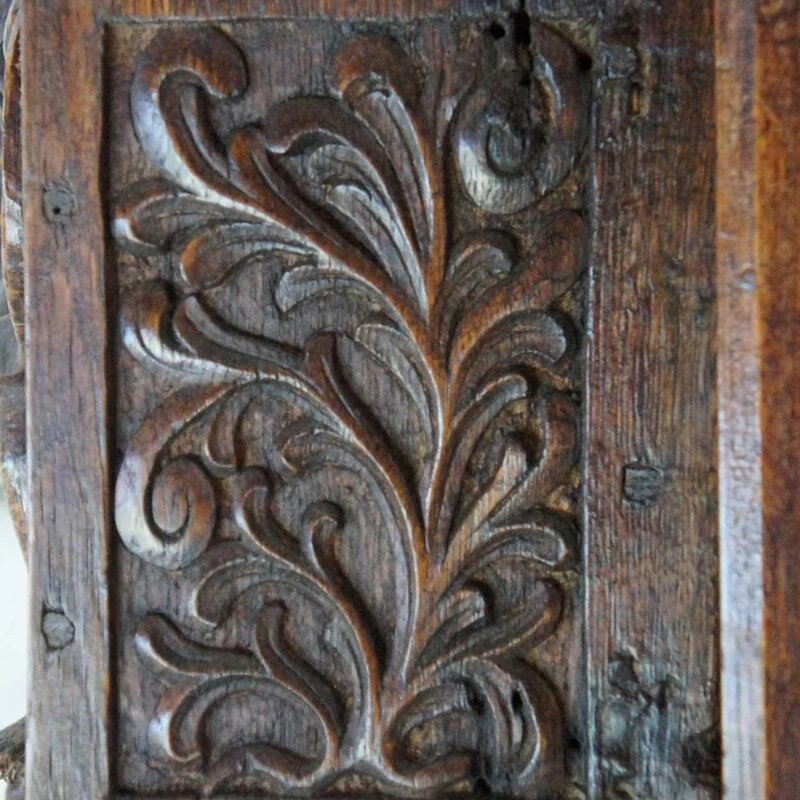 The door and adjacent panels are crisply hand carved with tree patterns and there is a carving of a female in bold relief on one side. 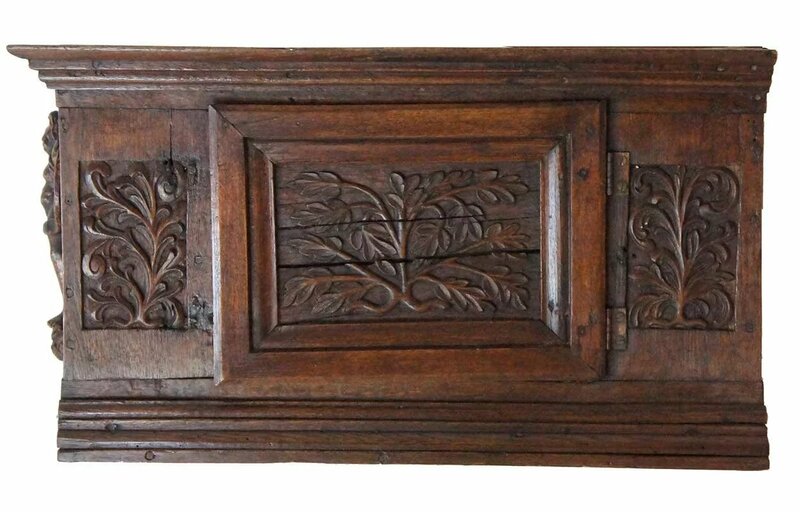 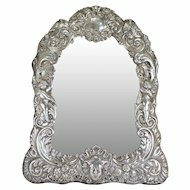 It is a charming piece that can be fitted for hanging on a wall, or used as a table top piece.